Likely the answer is too many to count, and frankly it’s not important. What is important is that we are still pursuing this question in our adult lives, or at least a piece of it. Upon watching LinkedIn’s ‘Picture Yourself’ campaign, I was moved to tears and tried to recall what my energetic 10-year-old self would have said. It could have been a lot of things— Teacher, Interior Designer, Hotel Manager—three professions that require educating and nurturing, creativity and planning, coupled with organization and strong communication skills. Flash forward sixteen years later, and based on my childhood dreams, I believe my career in sales makes perfect sense. Why? Let’s throw it out there — no one majors in sales. Upon my freshman year orientation at Butler University, I wasn’t signing up for Sales 101 or Cold Calling 107. If you were like me and attended a Liberal Arts University, you were probably signing up for classes you didn’t think you needed. Classes like Speech and Sociology—or the eye opener, ‘Change and Tradition’. While these classes didn’t make sense at the time, it was here I gained confidence as a communicator, expanded my knowledge of human behavior and enlarged my vision as a young woman; all crucial skills in understanding the sales process. My sales career has allowed me and many women to carve our own plans and venture off the beaten path. Our confidence and leadership ability has broken down the fear of getting lost, and we are confidently ‘leaning in’ to new experiences. This approach has provided a perfect forum for a confident woman to venture away from historically female dominated career paths such as: Education, Communications and Psychology. After college we’ve taken the skills we learned in these fields and stepped outside the box. Jill Konrath, author of AGILE SELLING affirms, “A sales career plays to a woman’s natural strengths of connection, collaboration and preparation.” Naturally, women know how to read people and forecast outcomes before they’ve even happened. I’m the furthest person from a scientist, but I strongly believe a woman’s intuition is a “sixth sense” and huge leverage in the sales process. In this recent article, “Theories suggest that women have an enhanced ability at reading facial expressions and emotions; we are much more likely to pick up on subtle emotional messages and read things like tone of voice and body language much better than men.” This attribute is absolutely transferable in helping women connect with people, foster relationships, and build rapport — all critical to a strong foundation with a client. We’ve uncovered the value of professional relationships with other women and the importance of building each other up, rather than tearing each other down. I firmly believe watching other women succeed has turned me into a more confidant woman in my own sales career. 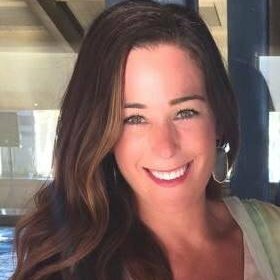 When my current manager and pseudo life mentor, Lisa Killeen co-founded Women at LinkedIn (W@LI) she knew she wanted to build a support network where women can face challenges together. Whether it’s being a Mom for the first time, being great at your job, or just gathering another level of support that helps you succeed, Lisa recognized the importance of strong female relationships and having champions on your side in the workplace. Coupled with relationship building, my sales career has allowed me to harness the key foundational skills of good communication. Whether it’s being consultative, showing compassion or simply being prompt-- many studies argue women, in general, communicate better. Whether it’s with a spouse, partner, friend or client—women have set the bar as effective communicators while also embracing the power of a strong social network. Jill Rowley, Chief Evangelist and social seller puts a spin on the ABC’s, “ABC = Always Be Connecting. Your Network is Your Net Worth.” I relate to this approach entirely as a handful of people in my life started with a 140 character conversation on Twitter or an InMail on LinkedIn. Many meet ups and cups of coffee later, my sales career has grown exponentially due to the network I’ve acquired. While career paths for women continue to evolve, my advice to other female professionals is simple. Your life belongs to you, and your career is your choice! 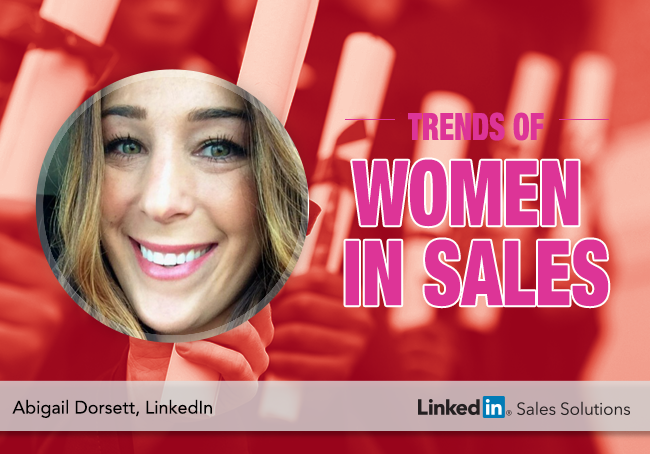 If a career path in sales interests you, stay up-to-date with leading advice from other inspiring #WomenInSales and share your thoughts, questions or comments in the LinkedIn Sales Solutions Group and by using the hashtag #WomenInSales on Twitter. Don’t be afraid to explore the unknown, gals; sometimes venturing away from an intended career path opens exciting doors.